The sky’s the limit for craft brewers. Mintel International, a Chicago-based market research firm, doesn’t come out and say that, but it might as well have based on the conclusion of a statistics-packed report titled “Craft beers bubble over in popularity,” released just in time for the new year. Mintel counsels craft brewers to target untapped markets by reaching out to women, young adults and Hispanics. ALBANY, NY — … The former Ballingers nightclub in downtown Albany is being redeveloped as a brew palace called Beer Land. A February opening is projected. The business is leasing the building, at Howard and Lodge streets, home for decades to the restaurant Ogden’s, from Douglas Ballinger. Ballinger, who with his brothers has owned the New York City club and music venue Webster Hall for more than 20 years, bought the building in 2006 and handsomely renovated it over the course of a year. Ballingers was able to make go of it as a nightclub for three fitful years before closing for good in January 2010. 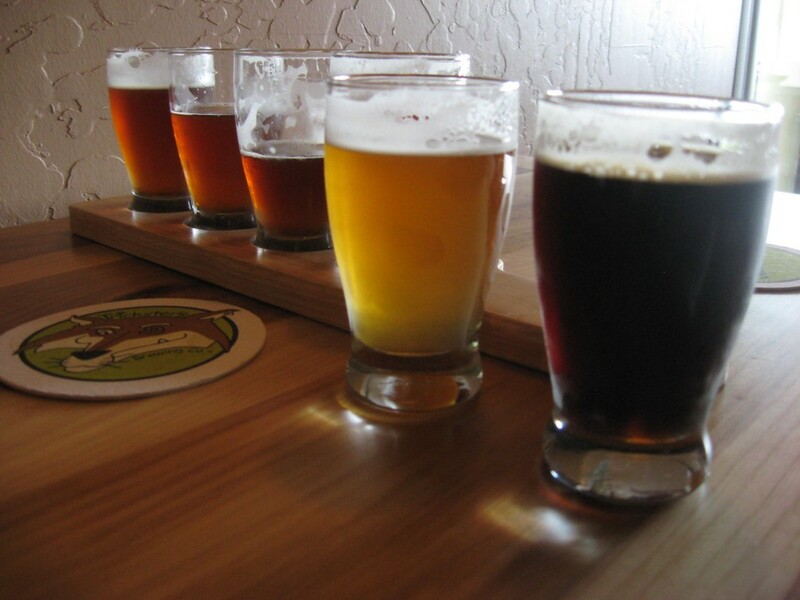 FAIRBANKS – When the holiday season rolls around, so do specialty beers. Typically, these fall into two categories: Winter warmers and spiced beers. Both are excellent alone or at meals. This edition of Beer Here examines holiday spice beers and makes food suggestions for each. Spiced beers are brewed year round in Belgium but get special treatment during the holidays. One such beer is Tsjeeses Belgian Christmas Ale. While the label doesn’t give away the exact spices added, this cloudy (from residual yeast), golden brew has plenty going on. It pours well with a strong head and lacing on the glass, which releases some floral qualities. Besides the pleasant yeastiness, there is a slight citrus aroma and flavor coupled with a maltly sweetness, sour fruit and clove-like spiciness. There are some phenol esters present as well — not surprising as the beer clocks in at 10 percent alcohol by volume — adding a warming affect. While I used to live in an absolute beer desert, things have been looking up for the last couple years in Ventura County, California. True, Ladyface Ale Companie is, technically, just across the county line in Los Angeles County in the city of Agoura, but it is only about 40 minutes away from my front door on a good traffic day. Ladyface has only been open for about a year. That they participated in the 2010 Great American Beer Festival as a brewery while still being so new says that the brewing staff is either very experienced, or are newbies confident in their abilities. They have taken awards at the Los Angeles International Beer Festival, so the GABF may only be a matter of time. Either way, while their beers have not reached the level of greatness yet, I fully expect great things from them in the not-too-distant future. Ladyface Alehouse & Brasserie in Agoura Hills announced this week that they would be doubling their brewing production from 600 barrels to 1200 barrels in 2011. They recently received three new 15-barrel tanks, one bright tank and two fermenters, to add to their six 7-barrel tanks, giving them the ability to meet the anticipated production. “With the arrival of new brewing tanks, we’ll have the means to keep more of our regular ales on tap as well as brew special and seasonal ales”, said Brewmaster David Griffiths. The modern-day Bible is a translated hand-me-down of an ancient text. It has been translated and re-translated countless times over the centuries. The oldest Bible texts were written in Aramaic, the common language of the Middle East during Jesus’ time. Scholars who have studied the ancient text suggest that Jesus actually turned water into beer, not wine. FLINT TOWNSHIP, Michigan — If T.J. Wisner ever thought he’d be famous, he would never have guessed it would be for the beer in his living room. But the 59-year-old motivational speaker and Internet businessman became an overnight sensation after the Wall Street Journal on Thursday featured his “beer tree” in an article about quirky alternative Christmas trees. “Well I guess you’ve got to do something for your 15 minutes of fame,” he said with a laugh. Cherry cordials — whole cherries covered in sweet goo inside a shell of chocolate — are always linked to Christmas in my mind. My mom loved them, and usually had a box handy during the holidays. A friend of mine makes some, fortified with vodka, and passes them out at Christmas. They’re a rich, tasty indulgence, something I enjoy one or two of at Christmas time — and then I’ve had enough. So pardon me if my review of Cherry Chocolate Beer from O’Fallon Brewery seems less than enthusiastic. This holiday seasonal beer aims to create that cherry cordial sensation, and it succeeds admirably. The beer seriously tastes like chocolate-covered cherries. I like chocolate-covered cherries, but not 12 ounces of them. If you wolf cordials down by the handful, however, you might want to get a 12-pack of O’Fallon’s brew.